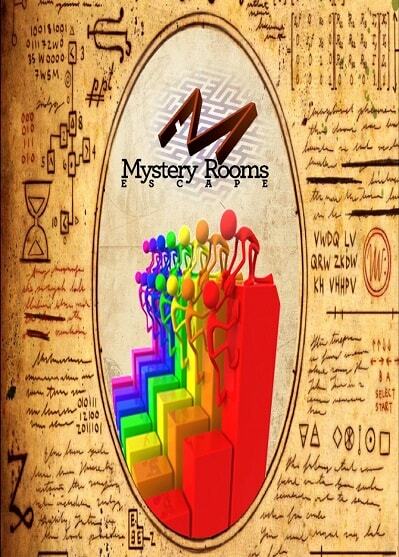 It seems that you are on your own in the room you choose, without help, without clues ... but actually, spread through the room, locked and hidden, there aren’t just the clues you need to advance in your game and reach the final step, which is the key, but also all the additional clues belonging to the game of the team you’re playing with. As you discover the hidden envelopes, you can contact the other team to help them move forward faster. Or not ... but be careful, they can make the same choice later! Because they will be in the same situation. They will find along their game helpful clues that would be of great help to you! So, will you collaborate to quickly advance at the same time and embrace a joint success, or are you in competition and only the best and fastest shall win? Whichever you chose, it will not be easy. Even with the clues that you have found and which would help your colleagues advance, or with what they have discovered which would be of great help to you, you will have to overcome an extra challenge: COMMUNICATION! You have the clues for them in front of you, but they may look like things you have never seen before, because you have your own mysteries to untie in the room you are captive in. And they know what could help them, they probably see it, touch it, understand it, but will they understand how to combine them without really seeing the helpful clues that are in your possession? In return, will you be able to understand what they have discovered and might help you?